Hero of Zambian football enjoyed life at the top of the sport but brought down by greed writes former FAZ General Secretary Ponga Liwewe. Yawn, yawn yawn!!! Could we have something new and relevant please. The guy has been banned we get it! For how long will this make headline news on zamfoot? You could do well to give us some info on weekend results (some of us outside the country have no clue on the weekend results). Kalu is human and therefore prone to make error just like anybody else. Ba Zamfoot please move on and give your readers something worthwhile. “who has not sinned may he be the first one to through a stone at her,they all ran away.And Jesus said where are they? Go and sin no more”. Thats same thinking is whats making these people to sin more, its better to condemn such acts rather than judging. It appears the writer is celebrating.The free kicksyes King Kalu scored for Zambia cannot be unscorerd so that the writer can score them himself never. This article is so shallow. I know he did wrong, but still doesn’t warrant such a one sided opinion. A lot of the content is hear/say. I find it shocking that no where in the article is it mentioned that Zambia won her first African Cup of nations under the leadership of Kalu. All I am saying is it could have been better written. This sums up Zamfoot editorial team – shallow minded! Maradona is full of scandals but they don’t demonize him in Argentina. And yet here we are trying to burry alive Zambia’s greatest soccer export. And guess what when the guy is no more we will see a stupid article on zamfoot eulogizing the same great Kalu. Hypocrisy has reached alarming heights. If you read every line, you will note that this article was not written by ZamFoot. This writing was even published in the City Press of South Africa. Even before Kalu is no more, ZamFoot will still publish the good works he has done and you will read them right here. Mark my words and make no mistake, two years is very short. Kalu can run and become FAZ president. He has his short coming but you cannot take away the respect that he has earned and the heart he has won in Zambia. When you talk Zambia abroad, it is Kalusha or Kenneth Kaunda. 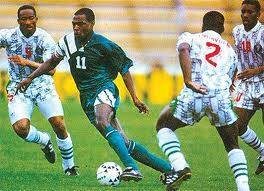 My respect for Kalusha is commitment for the national team when he played (No GREED). He came and gave it all. KB left a legacy as the best player ever to feature for Zed. Time after time he appeared for ZEd when OTHERS were injured/unfit etc.etc. KB was the one who hired Herve Renard saying he saw the same ambition in Herve and hunger that he also had. Let that be the endearing memory rather than this article that seems to be settling scores. 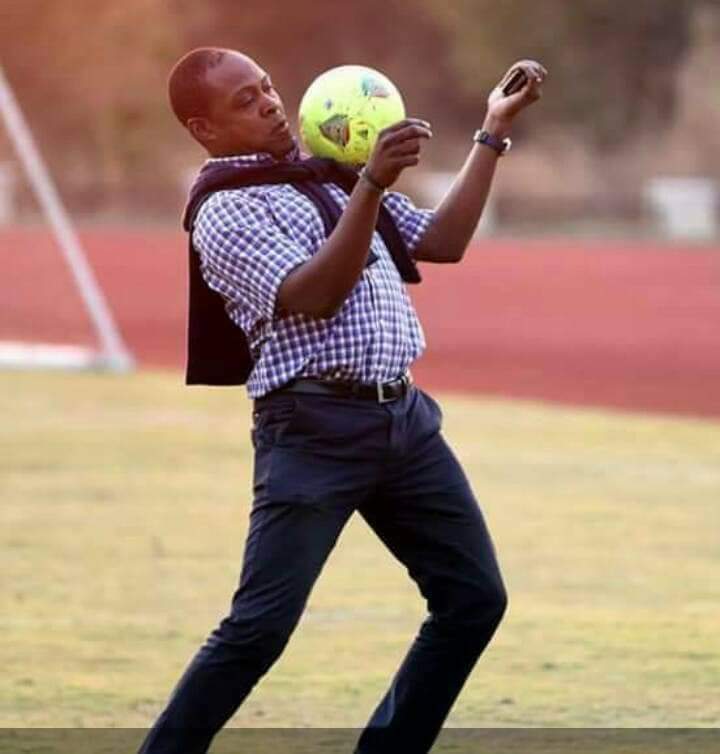 I think Kalu had to try and get something from FIFA or the African continent after the hard work of leading the countries recovery from footballs worst disaster. It was a national team that perished. Its kalu we know who mopped our tears with a white Hand Kerchief. And he was so mature he never pointed blame or a finger at anyone until he led us to win the AFCON and the bid to host the Junior Africa cup which we won at home soil. I think Ponga has some issues with ba Kalu. Ponga concentrate more on Malawi issues not zambia ones you having grown up, educated and holder of a green national card still does not make you Zambian inside outside yes,kalu messed up big time but bloody hell move on fatty so. 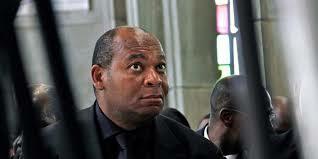 KALU,AS FAZ BOSS, WAS A THIEF.AND HOW DO U WRITE THE LEGACY OF A LEGEND WHO IS A THIEF? WELL STOLEN AND WELL PLAYED!!! NO WONDER SPONSORSHIP IS A PROBLEM!!!! Ponga failed to handle the blistering hot Namakau. Is this from Bob Marley and the Wailers? They never die? Finally read this article: the whole thing lacks objectivity. This is clearly a negative piece written by Ponga. I do not fault him for it, I think he even forgot to mention that Kalu was African Footballer of the Year. This article met its purpose; what is sad is that you have two people who love Zambian football, but personal issues have curtailed what could have been a fruitful relationship for Zambia. Ah well, same old story ku Zed. Its Ponga & Kamanga and who wrote to Fifa claiming that Kalu did not remit the money to faz and yet they are claiming that the money was a bribe.How on earth would you want a bribe to appear in faz books ? Fifa has said it was a gift but kamanga & ponga have been calling it a bribe and they also want wanted the money to appear in Faz books. During Kalu s tenure at Faz,no belifs ever got faz properties, but for ponga and kamanga their have lost Faz properties. This yowa Ponga and his fellow cunts (your know yourselves) is very bitter and jealous. Should we also do a ka insightful about yowa background and where your father came from? Whether you like it or not Kalu will bounce back and you haters can go kill yourselves. Tili che pa half time apa. Maj Kachingwe has refused to have paid any money money to kalu.So what are you up to. You should be ashmed of yourself ponga and your friend. From this article, one is able to see and tell that Mr Ponga has some issues. Please leave your colleague alone and offer advise where its necessary and this Nation will appreciate You.